From restaurants to high tech manufacturing, demand for a qualified workforce is high as the Seacoast experiences unprecedented growth. 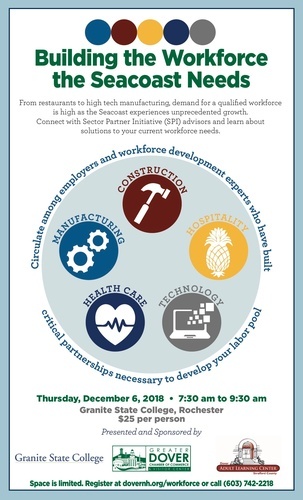 Connect with Sector Partner Initiative (SPI) advisors and learn about solutions to your current workforce needs. Circulate among employers and workforce development experts who have built critical partnerships necessary to develop your labor pool.